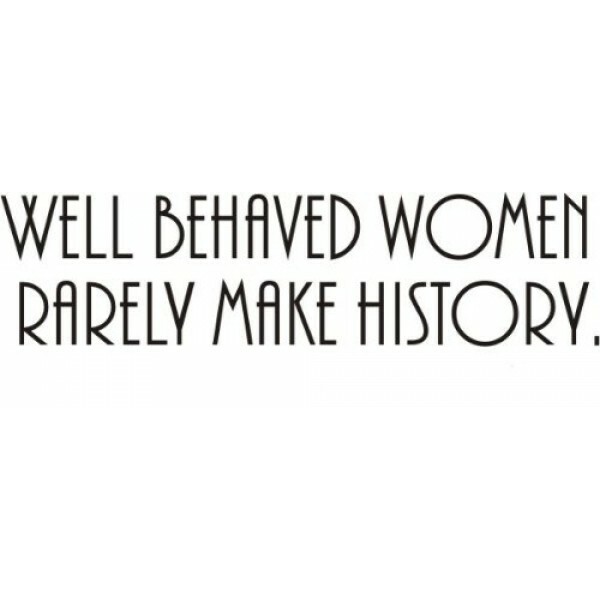 Enhance any room with our "Well Behaved Women Rarely Make History" quote vinyl cut wall decal. It is made from high quality, matte finish removable vinyl. It measures 24 x 7 inches and is available in a variety of colors. It is perfect for any child, kids, or classroom. Vinyl wall quotes give the look of a hand-painted word, quote, or saying without the cost, time, and permanent paint on your wall. They are easy to apply and can be easily removed without damaging your walls. Our quotes can be applied to walls, doors, windows, or any other solid, smooth or semi-textured surface. For more girl-empowering wall quotes, visit A Mighty Girl's Art & Decor section.